Time to share some thoughts and comments about the general outcomes of having an internship in the city of Barcellona P.G. in Sicily. 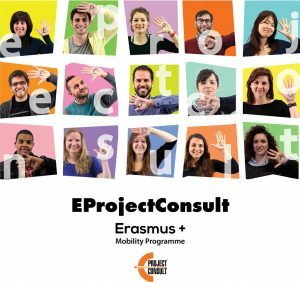 I am here almost three months and I am working at the office of EProjectConsult, along with other interns from various countries. I will focus in the results of both learning outcomes in the job and how the social life is here. Firstly, it is important for me to highlight the aspect of having an internship here, as it is an initial contact with vocational experience in an international organisation, one sector which is possible to deal professionally in the future. As the main occupation of the office is to deal with various projects (Leonardo da Vinci, Youth in Action etc. ), I have be introduced to Project Management job as assistant for the creation, preparation and implementation of European projects which are approved and funded by the EU. Further tasks that I am dealing are the monitoring of international bodies for European project opportunities, research for possible partners and generally back office activities. The fact that I belong in this organisation, by itself, is giving me positive aspects for the reasons that it is feasible for me at first to understand the general philosophy of an organisation, and then to acquire a background necessary for a future career in related areas, to expand my knowledge and abilities as well my communicative and management skills. That expansions of my personal qualities mean that I am becoming a person who can work seriously in a stimulating and competitive working environment. Concerning the social life in the city, I could say that it is a unique opportunity to expand my social aspects with a “marriage” of intercultural mentalities. General assumption is that by exploring new cultures in practice is possible to gain so much knowledge al long as books is impossible to give. Broadening of my horizons is real. Sicily is an island with many important places for visiting (e.g. the historical cities of Palermo, Taormina, Catania and Siracusa, the biggest active volcano in Europe – Etna etc.). Generally it is a place with many contrasts, thus, according with your preference, you can visit ether coastal places ether mountains. Further the cultural excursions, I had the pleasure to make a lot of friends in the city of Barcellona P.G. People are very friendly, one fact that helps for conforming in a new environment. Moreover, regarding with the Italian language, I have reached a satisfactory level through interactive speaking with Italian friends. Remarkable is that I started from the zero and now I am able to speak something more of the basic conversations. In conclusion I would like to mention that I already took two months extension in my internship (I am here with Erasmus Placement programme), because of the multiple benefits I have gained during my stay in here. Finally I am sure that this experience can have only positive effects.